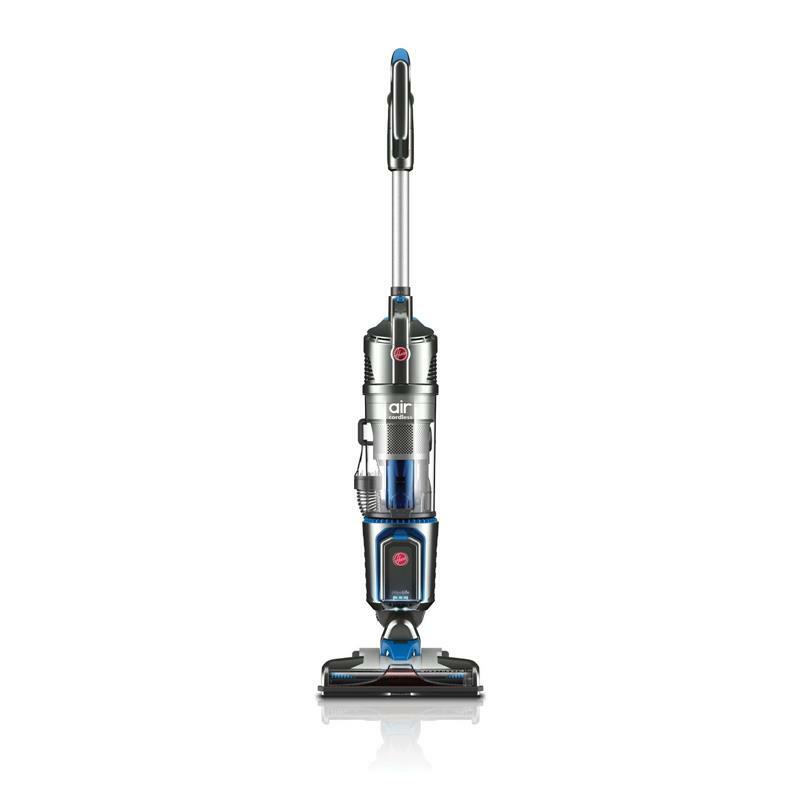 Finally, a full-size, cordless, cyclonic vacuum that can clean your whole home*. Two LithiumLife™ batteries provide an average of 50 minutes of fade-free power to clean both carpets and hard floors. That's enough to clean a 2,500 square foot home with no loss of suction** and without recharging. WindTunnel® 3 technology allows you to clean deep with three nozzle channels of powerful suction to capture dirt — other vacuums rely on one. Full Power. *** Full Size. Now Cordless. The Air™ Cordless vacuum contains all the technology you'd expect to find in a Hoover® upright. It includes a steerable design and a weight of just 9.9 pounds and removable cleaning tools. We removed the cord but kept everything else. It's a simple change that changes everything. The Hoover® Air™ Cordless vacuum will make you rethink cleaning. 50 Minutes of Battery Power Two batteries provide an average of 50 minutes of cordless fade-free battery power on carpet and hard floors. LithiumLife™ Battery Technology brings power and cordless convenience for whole-home cleaning. Exclusive WindTunnel® 3 Technology uses three channels of suction to lift and remove deep-down, embedded dirt. Lightweight design weighs less than 10 lbs. Steerable Technology allows you to clean around furniture with ease. Multi-Floor Cleaning gives you the power to clean from carpet to hard floors. Reusable Easy Rinse Filter means you can rinse the filter to maintain the power to clean. High Capacity, Easy-Empty and Easy-Clean Dirt Cup holds up to 1.05 liters. Like the item but have some questions? Click to contact us directly! *Free shipping only available for the continental United States. 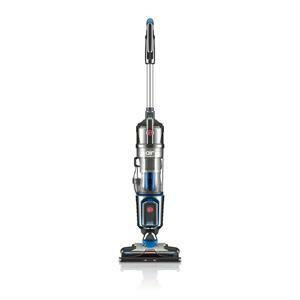 **Hoover products ship from the United States where the power standard is 120V/60Hz. Please take this in account when buying from outside countries. ***All sales made by Hoover, Inc. and Royal Appliance Mfg. Co. are subject to applicable taxes as Hoover, Inc. and Royal Appliance Mfg. Co. are registered to collect and remit taxes on taxable transactions across the country. Reminder, once you have paid for your order, we unfortunately cannot cancel orders or change a ship to address. We get to work immediately when receiving your order so that we can get it shipped in a timely fashion, giving us no flexibility to change orders. Thank you for your cooperation.